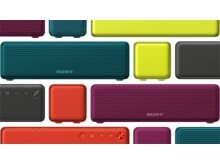 Sony Corporation will unveil its new lineup of products slated for release in 2016, at the 2016 International Consumer Electronics Show (CES) held from Wednesday, January 6 in Las Vegas, Nevada. Sony Electronics (SEL) President and COO Michael Fasulo then took the stage to introduce some of Sony’s upcoming products to be released within the year, across a wide range of categories. Sony’s 4K BRAVIA® TVs heavily emphasize picture quality and look, and they bring next-generation level visual experiences right into your living room. 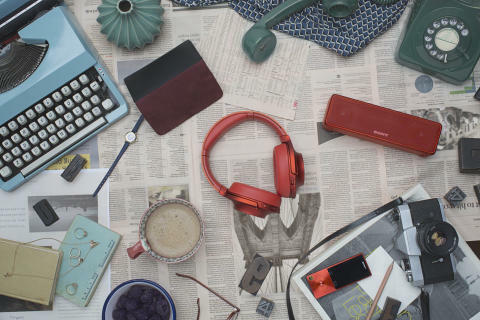 Sony’s ever expanding range of audio products offers you different ways to enjoy music to fit your unique tastes, from High-Resolution Audio (“Hi-Res”) to extra bass. Its line of digital imaging products enables you to capture easy-to-miss moments in the great outdoors and preserve memories of life’s most important events in stunning true-to-life detail. And finally, products in the Life Space UX series blend right into physical living spaces and redefine how entertainment is experienced. 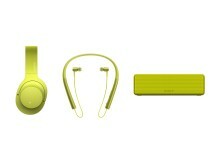 Sony will be bringing forth new products in each of these categories throughout the course of the year. Sony will pursue ever more realistic and immersive visuals, by merging its superb 4K picture clarity technologies together with HDR (High Dynamic Range), which has recently garnered significant attention as a new technology. HDR dramatically expands the range of visual expression possible, by realising higher brightness, higher contrast and more vibrant colours. Starting this year, Sony will brand its BRAVIA TVs that are capable of taking full advantage of 4KHDR content with a new “4K HDR” logo, in order to clearly convey to consumers that – with these TVs – they are assured of next-generation, emotionally compelling visual experiences. 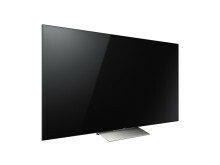 The new XD93 series of BRAVIA 4K LCD TVs is equipped with Sony’s brand new Slim Backlight Drive™ technology that takes picture quality to new heights by delivering the best quality from4KHDR content. With a unique backlight system structure, the XD93 series realises grid array backlighting, which was previously only achievable with full-arraydirect LED backlights. 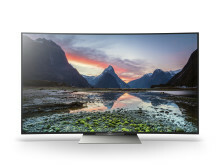 Slim Backlight Drive, combined with Sony’s X-tended Dynamic Range™ PRO contrast-enhancing technology and wide colour gamut TRILUMINOS™ Display technology, delivers brighter highlights, deeper blacks and more brilliant colours. This trifecta of technologies unlocks the full potential of 4KHDR content, all the while realizing an even slimmer TV design. When hung against a wall, XD93 series BRAVIAs virtually disappear into it, leaving behind nothing but the picture itself. This series also delivers a new intuitive viewing experience, with Sony’s seamless user interface and voice search functionality putting a whole world of content a mere click or query away. 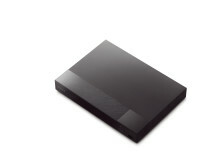 At its booth, Sony will also be showing off one of its next-generation technologies, Backlight Master Drive. This technology boosts brightness and contrast even further in order to truly tap the full combined potential of 4K HDR. The Backlight Master Drive demonstration will feature a 85" prototype that achieves precision backlight boosting with ultra high density direct LED backlights. Paired with X-tended Dynamic Range PRO, Backlight Master Drive attains an unprecedented dynamic range, dramatically improving visual depth and realism. It recreates incredibly deep blacks and dazzling lights with an ultra peak brightness of 4,000 nits, generating images so convincing that they appear to be real, right before your very eyes. Additionally, at its press conference, Sony unveiled ULTRA, a new app from Sony Pictures Home Entertainment to be launched this year in the US. With ULTRA, you can purchase and stream 4K HDR movies and TV shows – the best new and classic titles from the 4K digital library of Sony Pictures – directly on your Sony BRAVIA TV. 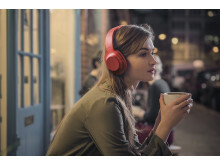 Three new products will be added to the h.ear™ series, which not only delivers incredible clarity High-Resolution Audio (“Hi-Res”), but also makes a memorable fashion statement with eye-catching color schemes. 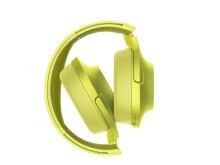 “h.ear go” is a portable wireless speaker that is easy to take from place to place. Meanwhile, “h.ear on Wireless NC” and “h.ear in Wireless” are wireless headphones that complement the wired headsets previously released. With these additions to the series, h.ear is now more portable than ever – from in the home to on-the-go – yet with the same Hi-Res quality and standout colors that free you to choose your own style. 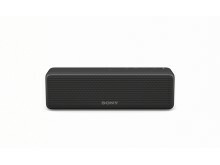 In addition to its Hi-Res offerings, Sony is also adding to its popular lineup of EXTRA BASS (XB) products that deliver powerful, resonating sound, with the MDR-XB650BT headphones, SRS-XB3 and SRS-XB2 wireless speakers, and GTK-XB7 high power audio system. These new EXTRA BASS offerings will practically transport you to a club or music festival, allowing you to enjoy soul-shaking bass anywhere. Some of Sony’s new audio products will also feature new Wireless Surround functionality, allowing you to easily achieve an immersive home theatre set-up by wirelessly linking*1 Sony sound bars and wireless speakers*2. Both the h.ear and EXTRA BASS series were designed to recreate the sense of “being there in the moment” as faithfully as possible, from the subtleties of the artist’s breathing to the powerful sound of a live stage performance. Sony will continue to expand these lineups further, in order to meet the needs of music lovers around the world, who have increasingly diverse listening styles and musical tastes. *1: Wireless Surround compatible models: HT-NT5, HT-CT790, and HT-XT2 home theatre systems; STR-DN1070 AV receiver; h.ear go, SRS-ZR7, and SRS- ZR5 wireless speakers. *2: The software update is planned for summer, 2016. The new FDR-AX53 4K Handycam® camcorder is equipped with a new 20x optical zoom ZEISS® lens as well as a high-sensitivity image sensor with pixel size approximately 1.6 times greater than in the current 4K Handycam model*1. The FDR-AX53 also features Balanced Optical SteadyShot™ technology, which suppresses blur during all shooting modes – from wide shots to close-ups – and enables crisp, high resolution image capture in 4K even when shooting from a distance. It is also fit with a new Fast Intelligent AF and a new microphone structure that records high stereo sound and faithfully captures the original audio. 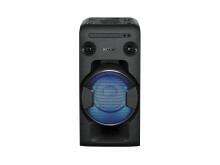 In every sense, from image clarity to audio quality, the FDR-AX53 is a sizable leap forward. 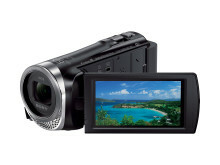 The new HDR-CX675 HD Handycam is equipped with Balanced Optical SteadyShot technology with an Intelligent Active mode that allows 5-axis image stabilization to engage even while you are running. Both the HDR-CX675 and the lighter, compact HDR-CX455 model come equipped with Fast Intelligent AF. The HDR-CX455 also boasts a 5.1 channel surround microphone which makes it easier than ever to capture high quality footage, with crisp picture and sound, anytime and anywhere. 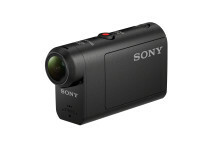 Sony’s line of Action Cams equipped with SteadyShot will be refreshed with the HDR-AS50R, which will come packaged with the Live-View Remote. This Remote, which now boasts new intuitive controls, gives you full control over the Action Cam from a distance, including its power functions. New features in this model include 4K time-lapse effects*2 and underwater shooting capabilities up to 60 meters below the surface, when used in conjunction with the underwater housing included in the package. All told, this new Action Cam makes it easier to shoot high quality video for sports and recreational activities, and produces more memorable footage than ever before. *2: Created by splicing together consecutive still images taken by the camera at fixed intervals, using editing software such as Action Cam Movie Creator ver. 5.1 or later (available in January 2016). Sony’s Life Space UX line of products that break the mold aims to fundamentally change the way you interact with physical spaces and experience entertainment. Already available in Japan is the LED Bulb Speaker, which seamlessly blends right into any living space. Just by screwing it into a light bulb socket, you can enjoy music wirelessly anywhere in your home. The LED Bulb Speaker will be released in the US in the first half of fiscal 2016. Sony will also be launching the 10cm cubic Portable Ultra Short Throw Projector,equipped with internal speakers and battery. The projector is capable of throwing a 22" to 80" image onto walls, tables, or any other adjacent surface, in spite of its compact size. Finally, Sony will release the Glass Sound Speaker, which fills every corner of the room with crystal clear sound through the tube-shaped organic glass that envelops the LED source. It also showers the room with a warm glow that harmonizes beautifully with any interior. Both the Portable Ultra Short Throw Projector and the Glass Sound Speaker will launch in Japan in the spring and in the US in the first half of this fiscal year. The Sony booth will also showcase our wider offerings across a range of categories. Among these are products that leverage sensing technologies in sports entertainment (Smart B-Trainer™ and Smart Tennis Sensor) and beauty (BeautyExplorer™ skin-analyzing system), as well as products from Sony’s start-up projects nurtured through its internal new business incubation initiative, the “Seed Acceleration Program”.